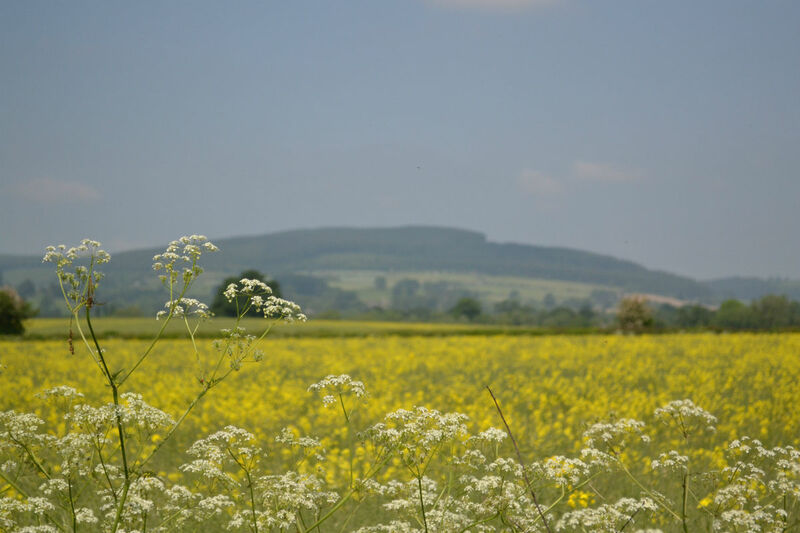 We’re well aware of how close the Herefordshire border is, but it felt a little bit like sitting in the away end at a football match when we've spent the past 6 months immersing ourselves in all things Shropshire. But we chose to move here for the excellent walking, so whether it be Shropshire, Herefordshire or Wales we’re happy (and I'm stretching it with the football metaphor here) to sit in the away team’s dugout if it means we get a good walk in. Brampton Bryan, our starting point, is a small village with manicured hedges, thatched cottages and a quirky bookshop called Aardvark Books that does excellent tea and cake. But the distinguishing feature of the village is the blue painted woodwork and the plaques on the buildings – not the English Heritage blue plaques that you see on buildings where famous people lived. 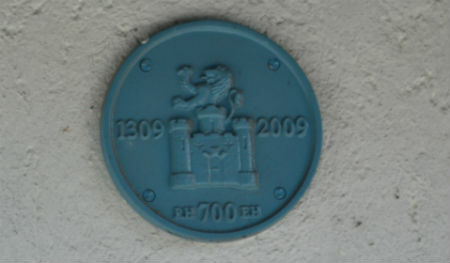 These are smaller and bear an emblem with the dates 1309 and 2009, because the buildings in Brampton Bryan are almost exclusively owned by the Harley Estate – that’s Harley as in the London street with all the top surgeons. You can’t buy a property here, you have to rent one through the estate office. It’s a model village really, which is probably why it’s featured in period dramas such as Howard’s End. The walk took us north towards the River Teme, then slightly uphill alongside Coxall Hill. As you turn eastwards into fields you really start to get the views across the Herefordshire and Shropshire Hills. I love walking up hills and seeing far-reaching views, but sometimes looking up at those hills can be just as breathtaking. A couple of red kites circled overhead as we continued towards Leintwardine. When we got to the village we decided to try out the Sun Inn, which we hadn’t previously been to, as long as it had a beer garden. It didn’t disappoint and we soaked up more sun alongside several cyclists as we supped on our refreshing drinks. It hadn’t been a long walk but it felt well-deserved and besides, we still had to walk back (which meant we could also justify an ice cream for the return leg…! ).